It’s not just Samsung with an 8K TV to sell to Australians keen to get in early, with LG bringing its 8K UHD models, too. We’ve heard the rumours and the talk, and even seen a few models at a CES a year prior, but in 2019, the dawn of 8K is finally here. This year, you’ll actually be able to find an 8K Ultra HD screen, and it’ll come in more than one size, too. Earlier in the year, more than one manufacturer made clear their plans to support 8K in the home, with Sony, Samsung, TCL, and LG all showing models, while Hisense has used previous years to point out it has 8K, as well. Barely two months later, Samsung has announced that it is ready to bring its 8K models to Australia, and before it has shown what 4K models we’ll be getting no less, so it makes sense for the other companies to start doing that, as well. And this week, that started to happen. 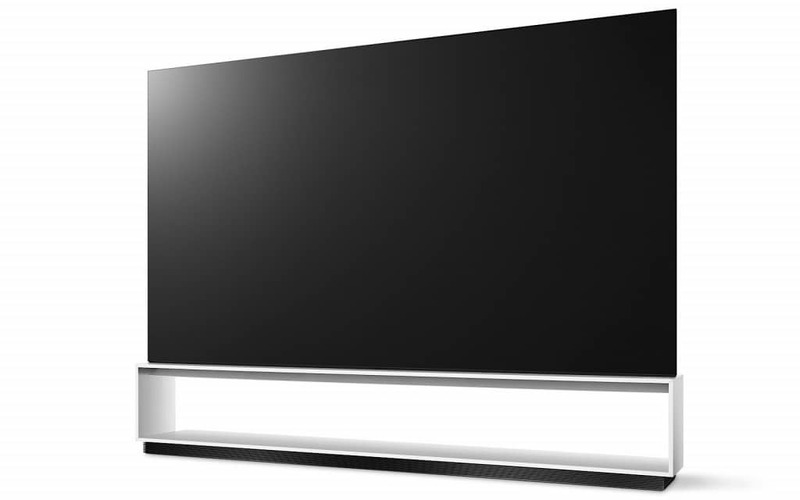 At its first local TV announcement for 2019, LG talked up the arrival of 8K, announcing that its 88 inch 8K Z9 OLED TV would be coming, representing the premium end of the market, while it would also be bringing a 75 inch 8K LED-backlit LCD TV to Australia. Both will feature LG’s new Alpha 9 Generation 2 processor to power the upscaling, noise, and colour technologies, which will likely be needed to get the sheer lack of 8K content into a place where watching your movies and TV shows will be a great experience on the 8K TVs. Hopefully it means the processing technology will be powered by a system good enough to get 4K content looking great on a screen with twice the pixels across the vertical and horizontal, but until we’ve seen it, we can’t say. Fortunately, LG will have plenty of time to iron out any potential bugs, because the TVs won’t be arriving until a bit later. While Samsung has announced availability and pricing for its first 8K TVs, LG is saying that its 8K screens won’t land until the second half of this year. That means LG has some time, and like the other players likely announcing 8K sets for Australia — Sony, Hisense, and TCL, we’re looking at you — will probably be watching Samsung’s stock and the consumer reception with interest. After all, 8K may start hitting home in 2019, but that doesn’t mean everyone will start buying them just yet.